Not too long ago, there was a very interesting discovery in science which revealed that the Milky Way is constantly swallowing up small galaxies and star clusters; its powerful gravity pulls these objects apart and their stars then become part of the Milky Way itself. Researchers have also found evidence that the Milky Way is eating up dwarf galaxies. In kabbalistic terms, we would say that the Milky Way has an enormous “Desire to Receive for the Self Alone”. 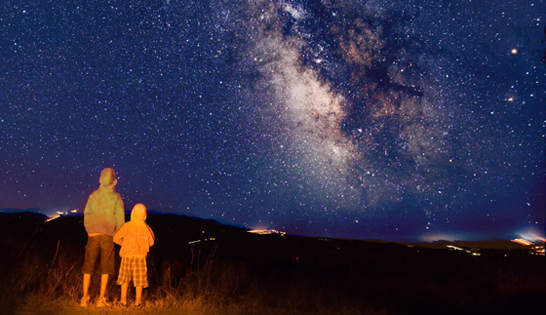 The pull of the Milky Way is four million times stronger than the power of the sun. One second of the sun’s energy has the capacity to sustain our planet for an entire year; it is beyond imagination then that the energy of the Milky Way swallows up everything that comes close to it while giving nothing out. Two thousand years ago, the Zohar spoke about the ugly nature of the Milky Way—which can be viewed both literally and figuratively as that negative force of the Desire to Receive for the Self Alone—telling us that if it could infest our civilization, we would cease to exist. However, there is something much more powerful than this negative force—and that is the Lightforce of God. We don’t realize how desperately important it is to be conscious of the power of negativity on this planet. The Zohar explains that both proactivity and negativity exist in the air. While going for a walk in the park, for example, these energies have the ability to immediately overtake us. There is a battle going on in the universe, whether it is airborne diseases or the Milky Way. Yet, according to the Zohar, the energy we generate when we are proactive is more powerful than the Milky Way, more powerful than the negative “swallowing up” forces of the Desire to Receive for the Self Alone, because proactivity can remove chaos. When we are proactive, we are like God. Places of extreme negativity get their energy from the Milky Way. It’s airborne; you cannot touch it, capture it, or put it in a bottle. But what can we do if we don’t even know it is there? We must be proactive; it is, in truth, a matter of life or death. It is time we take responsibility for removing the chaos within us. The Zohar tells us that in the portion we read last week, Shmini, there is a large letter Gimel in the word vehitgalach which means, “he will shave himself.” This Gimel also refers to the word gomel, which means to “pull out, to elevate.” The Gimel therefore represents the power of the Creator to pull us out of our chaos. Further, the power to remove our negativity is found in the word galach, which means “to shave.” In spite of the chaos and negativity we all have, we can use the large Gimel to help us “shave” off that chaos and return it to where it belongs—to one of the main camps of the Satan: the Milky Way. 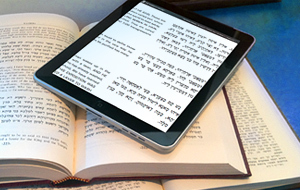 Read the full Zohar portion of Tazria-Metzora here.